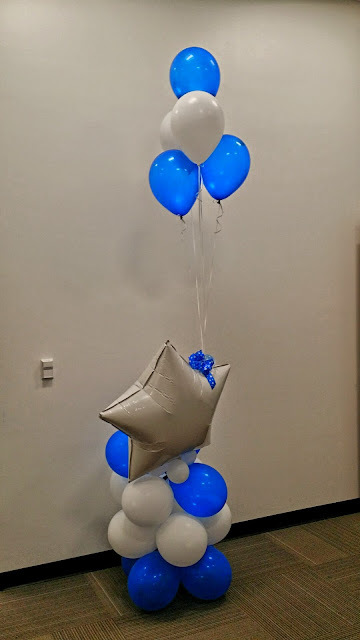 Yup, just balloons. But they're only one manifestation of an attitude toward, a connection with, an appreciation of, this company's drivers. You won't find a carrier who feeds lunch to everyone who turns up at a regional center every day. Or who recognizes achievements with new truck raffles, weekend getaways, and cruises. Or even one who helps you grow your business and lets you run it the way you choose without pressure or consequences if you don't take every job offered. While I'm very pleased with the new Grand Prairie facility, one driver I met last week looked around on his first visit and said "This is it?" I'm not sure what he thought was missing, because this is a big, beautiful facility. But some folks just can't be pleased. I'm sure his comments regarding the balloons would be negative, and no doubt something snarky about giving the money spent on them to the drivers. He would be missing the point. If he isn't making the money he thinks he deserves, he has no one to blame but himself. And those balloons are a celebration of that opportunity.